Today is the most highly anticipated day of the winter. At long last, pitchers and catchers report to the Ed Smith Stadium complex today, signifying the end to an offseason full of questions. Some of the questions were answered right away, such as the wonder if former manager Buck Showalter would be returning to the organization. Or, if Executive Vice President Dan Duquette would head the highly anticipated franchise rebuild. 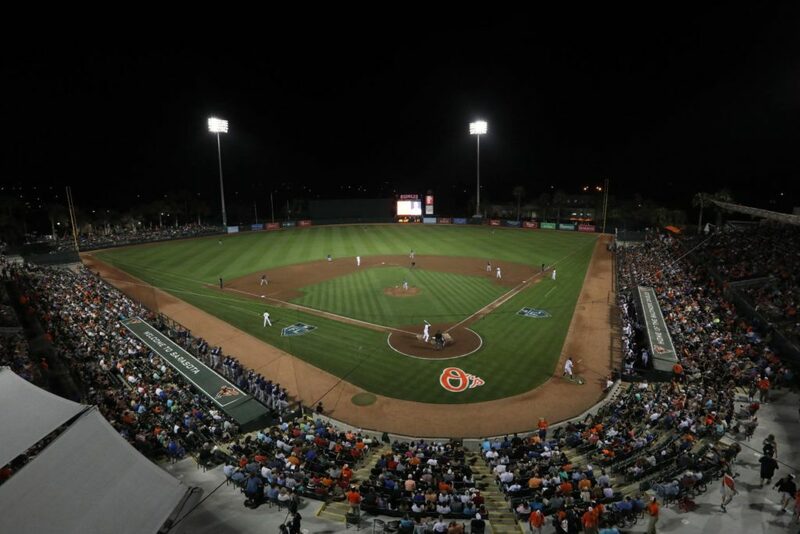 Some questions are still left unanswered heading into the club’s tenth season in Sarasota. Who is going to break camp as the number one-and-two catchers? Who will be the fifth starter? Will manager Brandon Hyde use an opener every fifth day? Is Chris Davis going to have a bounce-back season? 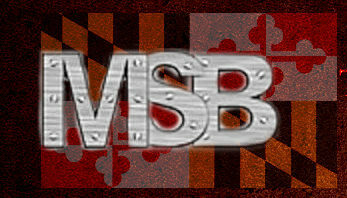 What about Dylan Bundy? Does DJ Stewart have what it takes to be the everyday right fielder? How will Cedric Mullins do in his first full year in the big leagues? Who starts at shortstop? Where does Jonathan Villar line up this year? There’s plenty of other questions but one of them may wind up being, “who are these guys?” A question that was used as a humorous line in the movie “Major League,” can be perfectly duplicated for some of the 36 pitchers and catchers reporting today. Let’s take a look at some of the players that may not be as recognizable. Eleven of the 36 players reporting to camp today are non-roster invitees. Left-hander SEAN GILMARTIN was drafted in the first-round of the 2011 Amateur Draft by the Atlanta Braves. He was released by the St. Louis Cardinals last July and the Orioles signed him as a free agent. Gilmartin appeared in seven games with Triple-A Norfolk, starting three and pitching to a 2-0 record with a 3.14 ERA over 14.1 innings. 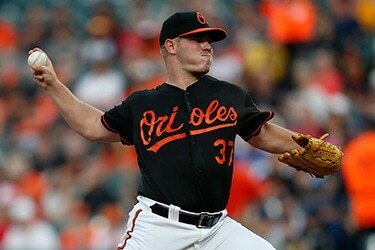 He made 12 appearances in relief with the Orioles last season, allowing three earned runs per game in 27 innings pitched. GREGORY INFANTE was picked up on January 7, after being granted free agency from the Chicago White Sox organization. Infante, 31, is a native of Caracas, Venezuela, home to 16 other major league players including Gleyber Torres and Elvis Andrus. Appearing in 385 games over 12 seasons in the minors, Infante holds a career 3.56 minor league ERA. DEAN KREMER came to the Orioles as part of the Manny Machado trade last July. In 2018, Kremer led the minor leagues in strikeouts, racking up 178 in 25 starts with High-A Rancho Cucamonga, Double-A Tulsa and Double-A Bowie. CHRIS LEE has been with the organization since 2015, after coming over via trade with the Houston Astros. He’s dealt with a few injuries throughout his career and has yet to make an appearance at the major league level. JOSH LUCAS was picked up as a free agent back in November. He’s split time between the St. Louis Cardinals and Oakland Athletics organizations since he was drafted in 2010. He has a career 3.29 ERA in the minors and has registered 13 major league appearances, including one start last season on May 24. ZACH POP was another piece the Orioles acquired from the Dodgers for Machado. Pop was selected in the seventh round of the 2017 Amateur Draft and has pitched as high as the Double-A level. Last season splitting time between Double-A Rancho Cucamonga and Double-A Bowie, he made 44 relief appearances, pitched 64.2 innings and finished the year with a 1.53 ERA. Another free agent signing this winter was right-hander, BO SCHULTZ. Previously in the Pittsburgh Pirates organization, Schultz was signed as undrafted free agent in 2008 by the Athletics. Over parts of three seasons, Schultz has appeared in 51 games at the major league level with the Arizona Diamondbacks and Toronto Blue Jays. He holds a 4.54 ERA but a 1.188 WHIP in 67 innings. GABRIEL YNOA rounds out the non-roster invitees on the pitcher’s side. He may be a bit more recognizable as he made a handful of starts for the Orioles in 2017. Injuries kept him limited last season with Triple-A Norfolk though, as he only made two starts before hitting the Injured List. The Orioles have invited three catchers that are not on the the 40-man roster to camp this spring. MARTIN CERVENKA spent his entire playing career with the Cleveland Indians before being signed as a free agent by the San Francisco Giants. He was then plucked from the Giants in the 2017 Rule-5 Draft. With Double-A Bowie last season, Cervenka played in 97 games, hitting .258 with 15 home runs and 60 RBI. He threw out 28-of-96 base stealers, for a 29% caught stealing rate. CARLOS PEREZ was signed as a free agent in January after spending time with the Texas Rangers and Braves last season. In parts of four seasons in the majors, he’s a career .215 hitter with a 38% caught stealing rate. ANDREW SUSAC appeared in nine games with the Orioles last season, going just 3-for-26 with a double. He was designated for assignment in January, but cleared waivers however, and was re-assigned to Triple-A Norfolk. Last season with the Tides, he hit .256 with six home runs and 26 RBI. As for the remaining players reporting to camp today, there are a few jersey changes that Jon Meoli of The Baltimore Sun reported a few weeks ago. Below you will find the list of the remaining pitchers and catchers coming back to camp today with their jersey number listed in parenthesis. For the pitchers, PEDRO ARAUJO (38), RICHARD BLEIER (48), DYLAN BUNDY (37), CODY CARROLL (49), ANDREW CASHNER (54), MIGUEL CASTRO (50), ALEX COBB (17), PAUL FRY (51), MYCHAL GIVENS (60), DONNIE HART (57), HUNTER HARVEY (56), DAVID HESS (41), NATE KARNS (36), BRANDEN KLINE (52), JOHN MEANS (67), LUIS ORTIZ (59), EVAN PHILLIPS (58), YEFRY RAMIREZ (32), JOSH ROGERS (65), TANNER SCOTT (66), DILLON TATE (55), MIKE WRIGHT, JR. (43) and JIMMY YACABONIS (31). Finally, for the catchers, reporting today will be CHANCE SISCO (15) and AUSTIN WYNNS (61). Is Pedroia Quitting on the Red Sox?